“I was pouring lukewarm tea out of the thermos and into cups when Josh climbed up on the fence and watched us. The month before, from the upstairs playroom, we’d watched Josh’s family move in. We’d hoped for girls, but then we saw the movers unload a boy bike and we went back to playing. Josh sat up on the fence, not saying anything, and Margot was really stiff and embarrassed; her cheeks were red, but she kept her hat on. Kitty was the one to call out to him. ‘Hello, boy,’ she said. ‘Hi,’ he said. His hair was shaggy, and he kept shaking it out of his eyes. He was wearing a red T-shirt with a hole in the shoulder. ‘You should play with us, Josh,’ Kitty commanded. 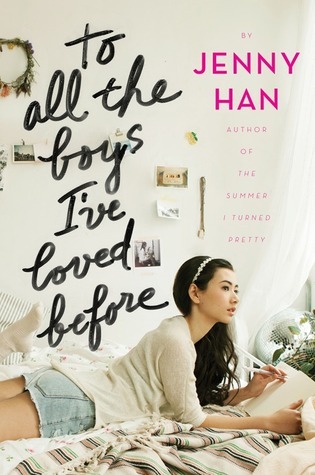 I read something else by Jenny Han and liked it, so I would read this one. I think I have it wishlisted anyway… lol..